Since its inception, Kutsinhira has hosted Zimbabwean musicians to strengthen cultural and personal ties with Zimbabwe and ensure accuracy and authenticity of its content. The Artist-in-Residence Program became a formalized sponsorship program in 2001. Sponsored artists have included traditional and contemporary internationally recognized musicians including Cosmas Magaya, Beauler Dyoko, Musekiwa Chingodza, Patience Chaitezvi and Lucky Moyo. These master musicians perform traditional Zimbabwean marimba, mbira, song, dance, and drumming and provide workshops and discussions within the broader community at a wide variety of venues including schools, senior centers, the University of Oregon, the Eugene, Springfield, and Veneta public libraries, Saturday Market, the Oregon Country Fair, and many other fairs and festivals. Ten grants have been obtained to support Kutsinhira’s community outreach goals, greatly expanding and enriching the cultural programs offered to the community at large. Grants include six from Lane Arts Council, three Tourism Grants from Lane County and one from the Oregon Country Fair. 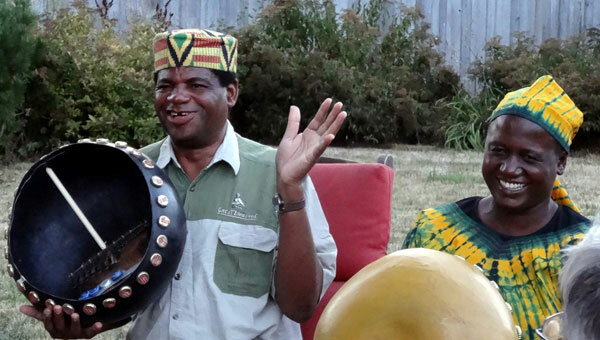 Grant funds have subsidized presentations and performances by Kutsinhira’s sponsored artists for many groups with limited funding for the arts such as public schools (Kelly Middle School, Holt Elementary, Village School and Camas Ridge), retirement homes (Campbell Senior Center, Willamette Oaks Senior Center and the Eugene Hotel) and public libraries.